← See you in Dallas! After a flu-ridden and deadline-driven lapse in posting for almost three months, I’m pleased to be back with some new bloggage – and a double helping of news. And what better date is there to relaunch my blog than 1 May? So happy May Day, everyone. My story “Bells of the Harelle” will appear in The Mammoth Book of the Vatican Vaults in spring 2015. And a new version of my old story, “Return of the Pikart Posse”, will be published in June in the Midnight Street anthology.Though these two stories differ in many ways, they share common historical threads and concerns. My contribution will be a tale of fourteenth-century rioting, eroticised heresy and quantum entanglement. Perhaps it’s a prequel to my novel-in-progress, Heretics, which is about a woman leader of the Pikarts or ‘Adamites’ in the Hussite revolution of fifteenth-century Bohemia. The Pikarts stood for all-out warfare against the church and feudal order, and sought to live according to a vision of sensuality and freedom. You could compare them to the Ranters in the English Revolution; this lot eventually took over an island in the Nezarka River. 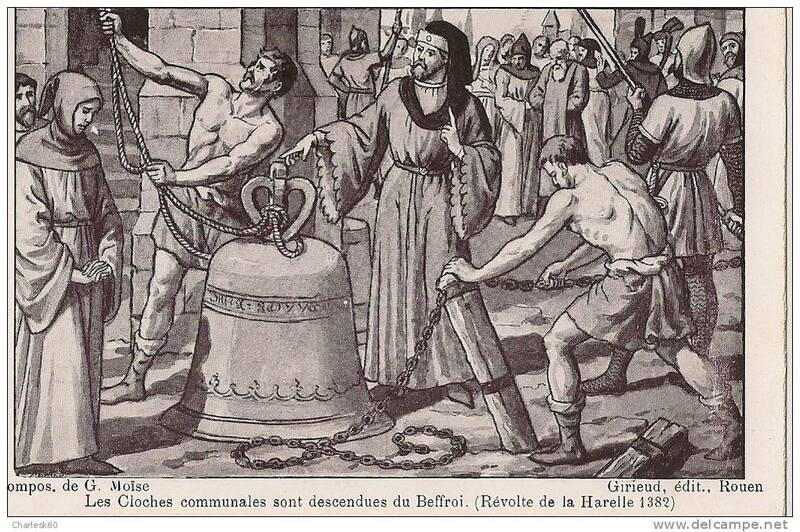 “Bells of the Harelle” is set among the French/Flemish refugees from Lille and Tournai who eventually travelled to Bohemia and contributed to the more anarchistic strands within the Hussite revolution. Historians have traced the ideas of these people to a sect of Free Spirit-influenced heretics in Brussels called Homines Intelligentiae or Men of Understanding, which faced a crackdown from the Inquisition in 1410-11. Fragments from the proceedings against the Homines Intelligentiae also refer to several women of understanding, especially an older woman called Seraphine. She declares that spiritual love could not exist without carnal love, and such pleasures are as necessary to life as eating and drinking. From the scraps of information available from her persecutors, Seraphine comes across as a tough, salty and humorous character. So this story became Seraphine’s story. It begins with a revolt of weavers in 1380s Ghent, Seraphine’s decision to leave an unhappy marriage and a life-changing encounter on the turbulent streets of Rouen. My writing often involves some historical component, usually provoked by an obscure but fascinating footnote. I enjoy weaving a story from sketchy clues or speculations about a simple object or work of art, and bringing hidden history into the open. Heretics was sparked by a reference to a woman leader of the Pikarts/Adamites called Maria. Less is known about her than Seraphine; all we have for Maria is a name. The so-called Adamites (the term was first applied to the Bohemian revolutionaries by an eighteenth-century historian) received very bad press from the likes of Norman Cohn in The Pursuit of the Millennium. He regarded them simply as thugs. But surviving historical accounts were written by the Pikarts’ enemies, whether they were conservative Catholics, mainstream Hussites or Cold War-influenced historians like Cohn. Czech historian and philosopher Robert Kalivoda tried to counter this in Hussite Ideology and Revolution*, denouncing the reactionaries that have heaped “five centuries of schmutz” on the unknown peasants and artisans who fought for their freedom and died as the premature “protagonists of the modern European revolution”. “Return of the Pikart Posse” touches on the world of Heretics from the perspective of a former punk-squatter turned medieval historian with a specialty in heresy. And if you’ve read Lipstick Traces, a collection of rantage and word play on the common threads of punk, surrealism and medieval heresy (John of Leyden… John Lydon, geddit? ), the connection between the character’s punkish youth and her current interests may not seem farfetched (or even if you haven’t read Lipstick Traces). In any case, our historian gets very close to her subject on a research jaunt to Tábor in the Czech Republic. “Pikart Posse” originally appeared in Midnight Street in 2005, edited by Trevor Denyer. Midnight Street and its forerunner Roadworks were fine publishers of speculative fiction in the 1990s to mid-2000s. According to fellow contributor Paul Finch, this was the “golden era of the UK small press”. Trevor had previously published my work in Roadworks and featured me in Midnight Street 4, which included another story, “The Colour of Water”, plus an interview. Over the years I’ve held “Pikart Posse” in great affection. It came to mind immediately when Trevor asked me to submit a story to his forthcoming anthology, which will include Midnight Street favourites along with new work. Originally, I was planning to give the story just a little tweaking. 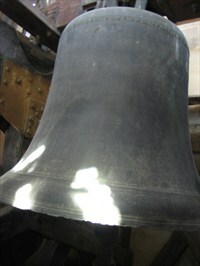 The real-time parts take place in the early 2000s. The difference between a story that simply becomes dated and a piece that effectively portrays a moment in the past can be subtle. So how does a story written as ‘now’ – alongside glimpses much further into the past – make the transition to a narrative that evokes a time and place? Such a story will need more detail in some places, and less in others. For example, who would remember Charles Clark, New Labour’s redundancy-mongering education secretary? The name would be a distraction. But a writer might need to pay more attention to describing places, sights or experiences that were taken for granted at the time. Writers and editors take varied approaches to reprints. Some say we should respect the historical integrity of our old work, and limit tweaks to typos and grammatical errors that were missed the first time around. A piece of writing represents a specific time or state of mind, so let it be. Others will say a writer’s work is always evolving. So go on. Alter it is many times as you want. I also realised that I’ve developed conceptual frameworks over the years for certain themes and I wasn’t sure if the story held together without them. However, imposing such a framework could turn it into an entirely different story. So I tried to steer a course between the two options. I gave the story a considerable overhaul, while trying to stay true to its original ambiance. Meanwhile, prepare for further publishing news once covers, line-ups and bragging rights have cleared! 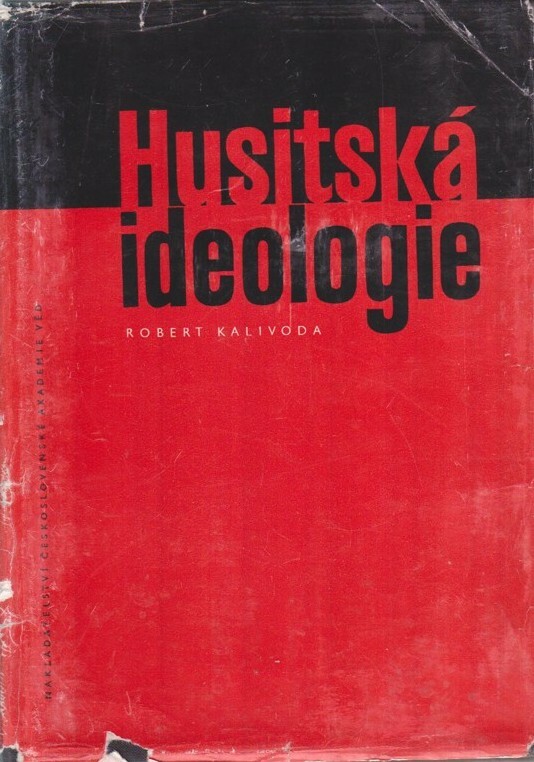 * Kalivoda’s Hussite Revolution and Ideology is only available in Czech and German. A friend has very helpfully translated some passages from the German edition. Howard Kaminsky also quotes from this book in History of the Hussite Revolution. This entry was posted in Fiction, Heretics novel and tagged 1382, Adamites, alternate history, Bells of the Harelle, David V Barrett, Harelle, Hussite revolution, medieval heresy, Pikarts, Tales from the Vatican Vaults, Trevor Denyer. Bookmark the permalink.